Just imagine there’s a vacant house for sale on the Pacific coast of Costa Rica waiting for some buyer to come along and make it their own, and that buyer is you. Whether you have a detailed mental image of what that house looks like or there are a few fill in the blanks, we can assist in this endeavor. Dominical Real Estate specializes in Costa Rican real estate. Our primary service is guiding foreign investors in these tropical transactions. If you’re ready to start seeing your dream come to life, allow us to introduce ourselves. We aren’t here solely because we need to make a living. 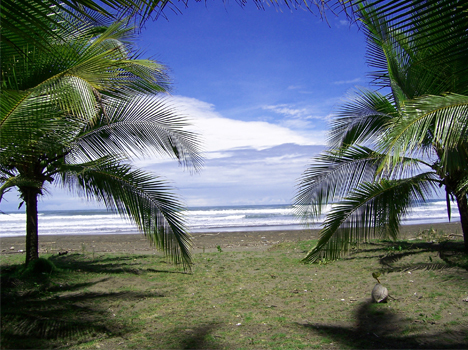 We are here because our team loves Costa Rica just as much as, if not more than, our clients do. We love what the country has to offer and what its housing market affords. It is one thing to help a buyer purchase a property in the homeland. Without taking anything away from that endeavor, it’s such an exciting and monumental time when you help a buyer invest internationally. For one, some may say it’s more difficult of a task. The steaks can be higher, the barriers are often bigger, and the results can be intimidating. Furthermore, it’s an opportunity many never have, and the ones who do are all about it. The list goes on, but you’re not here to know all 101 reasons why we do what we do. The bottom line is that our motivation is enough to serve you. If we’re the right agent for you, we’ll treat you like the asset you are to us. We’ll introduce you to houses for sale like you’ve never seen them before. We’ll shed a new light on Costa Rica, and make you believe in this investment more than you do at this moment. Let’s get started.